Knitterpated: Do You Know This Man? It appears that he has been hanging out in my neighborhood. 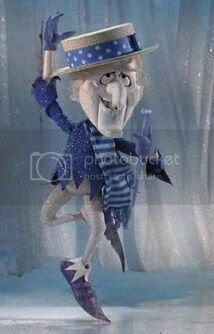 Yep, it's none other than Snow Miser. What a guy. 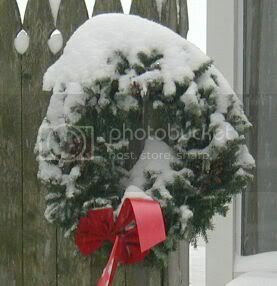 I woke up to several inches of snow--which would be okay with me, I live in New England, after all--but now it is sleeting and it will soon be pouring rain. Yuck. This is what it looks like outside my door. This is what I wish I was knitting wearing.